New Delhi: A criminal complaint has been filed against AIMIM chief Asaduddin Owaisi in Delhi’s Karkardooma Court on the basis of charges for alleged offences of sedition and causing hostility between different classes. 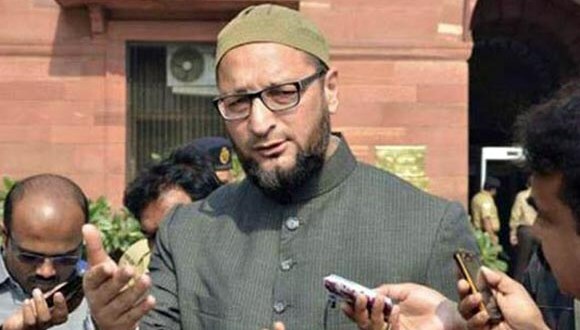 The complaint has been filed against Owaisi for the alleged offences under Sections 124A (sedition) and 153A (promoting hostility between different groups on grounds of religion, race etc) of the Indian Penal Code. The plea, filed through advocate Rajesh Kumar on behalf of Swaraj Janta Party, alleged that the act of Hyderabad MP is not loyal to India and was trying to harm the country’s reputation and his statement comes under the definition of sedition charge. A Public Interest Litigation (PIL) has also been filed in the Mumbai High Court by an activist from Pune urging it to take legal action against both Owaisi and AIMIM MLA Warris Pathan for refusing to chant Bharat Mata Ki Jai. However, the complaint which was filed by SJP in Delhi before Chief Metropolitan Magistrate Munish Markan will be heard on March 22.